Still creating something from nothing, or maybe the other way around. 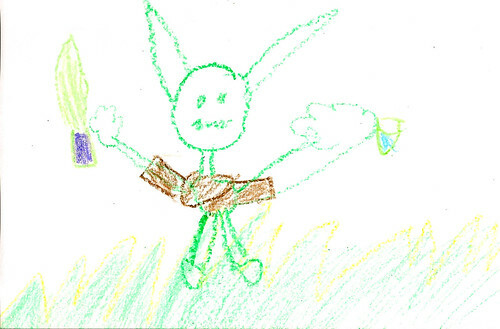 Yoda Drawing, originally uploaded by K Chu. Kid drew this picture of Yoda holding his light sabre and a cup. Looks like your kid has come major geek blood.